Mom, the Intern: Pray for me. Along with go on a hike, take pictures of everything, create a slideshow and basically WORK for the next four days. Except, I woke up on Sunday with a sore throat, and now my nose is running like a faucet and I feel like CRAP. Anyway, I'll be back on Saturday. Hopefully, I'll be alive to tell the tale of Girls' Camp! 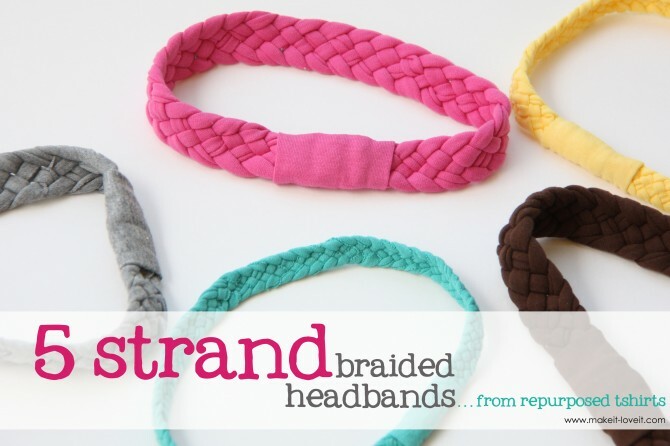 In the meantime, start making yourself a T-shirt headband. They are so cute and easy. And don't forget to pray for my survival. You get to go to girl's camp? I'm so jealous, I loved girl's camp. I went for seven years (I was lucky my birthday was late so I could.) I will pray that your cold is in fact only allergies and you'll be able to enjoy your week! do you go to camp lomia?? i hope you feel better and have a great time! Sorry! Drugs and lots of water! When I was a leader at Girls' Camp, I took tylenol p.m. every night even though I wasn't sick. I slept like a baby! Good luck!